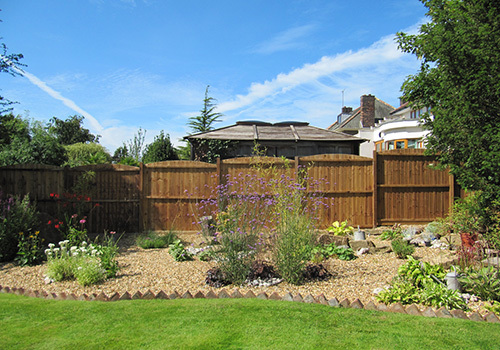 This garden was a challenge as the mature trees took most of the moisture and shaded the border. 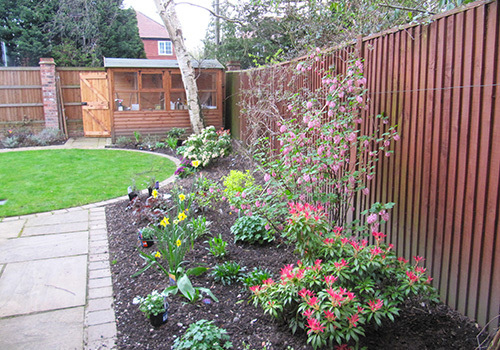 The soil was improved with compost, making the soil rich enough to support a variety of shrubs and flowers. 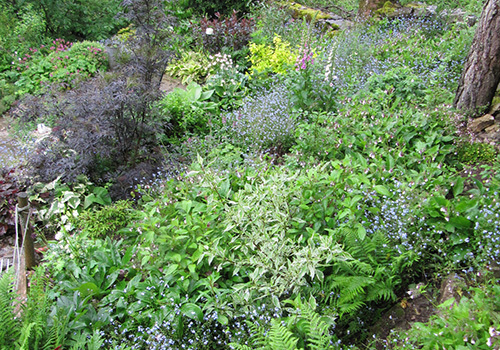 The plants that the client and I selected were designed to cope with dry, semi shade and provide year round interest. 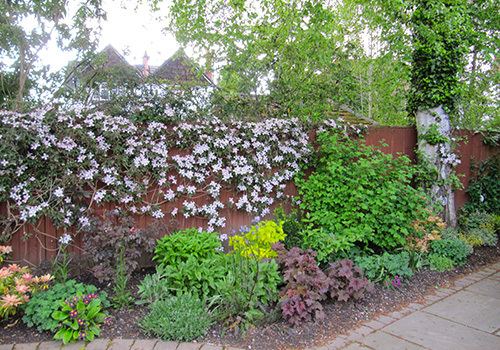 A great opportunity to start a flowering border from scratch in and open and sunny position. 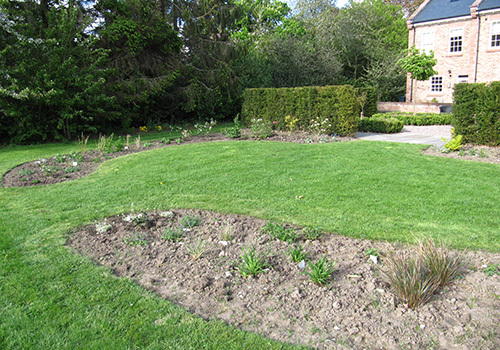 The lawn was removed and a lot of well rotted manure added to the clay soil. 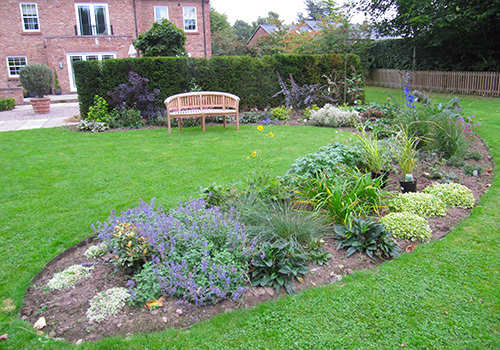 The result was that the shrubs, grasses and flowering plants grew fast creating a colourful garden within months of planting. 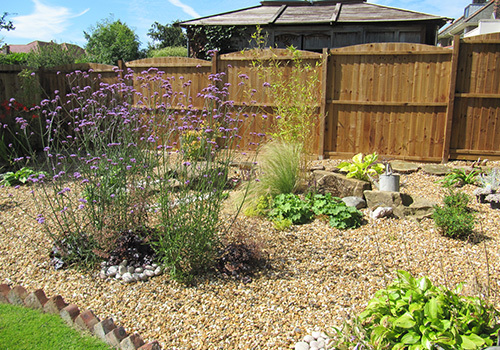 The clients wanted a border with plants to look good against gravel and sculptural stone boulders. 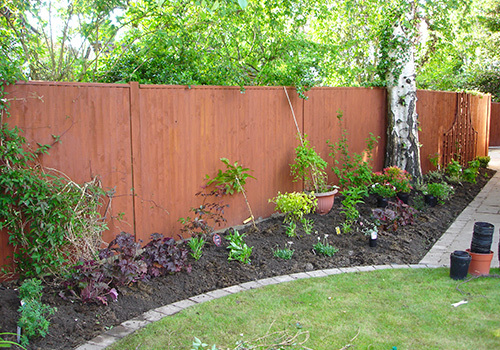 The area had been overgrown with weeds and ivy which they had removed. 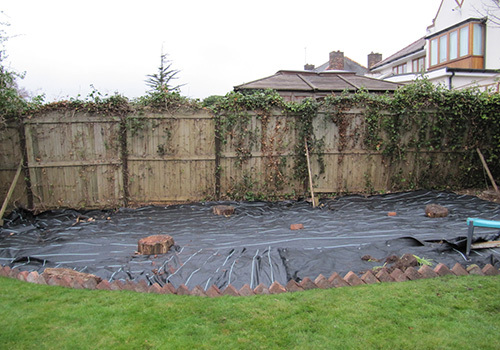 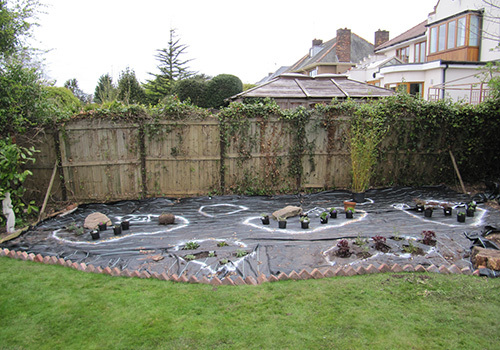 The area was then covered with a membrane to suppress weeds. 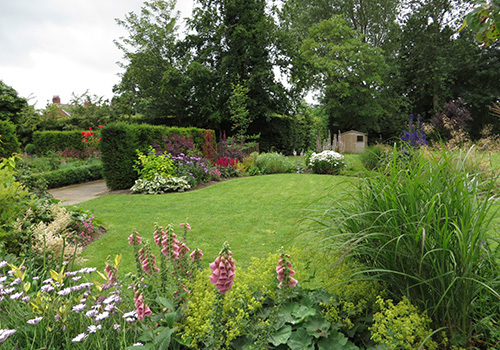 The plants were chosen for their foliage interest, height and colour variation. 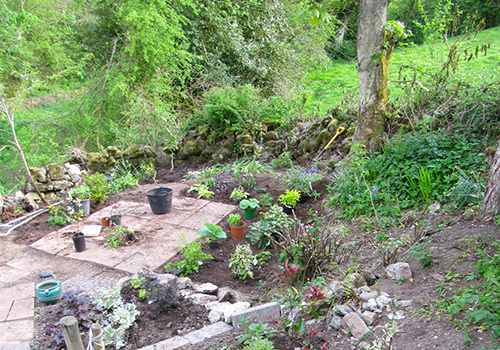 Creating a cottage garden from an overgrown field, 300m above sea level in a high limestone valley has been a challenge for my clients. 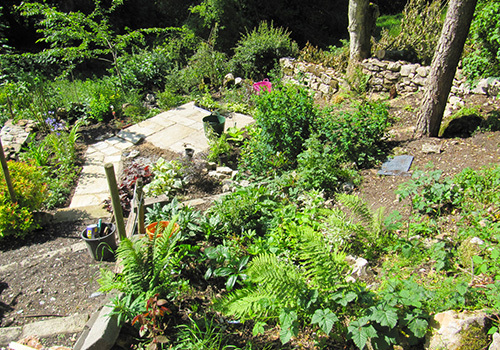 The garden has to compliment the stone cottage it adjoins and cope with low temperatures, rabbits and a growing season that is about a month shorter than the nearby lower level towns. 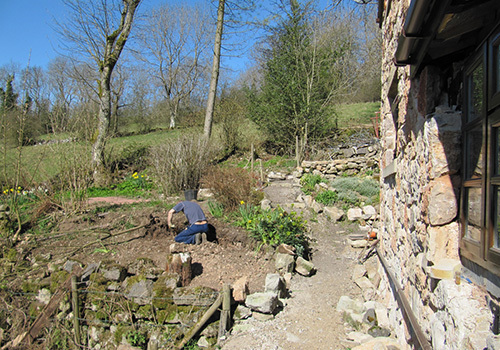 Limestone boulders are close to the surface of the soil and many have been dug out to create dry stone walls and a reasonable depth of soil for planting.